Some folks believe October 28th, 2011 is the actual end of the Mayan calendar and a date signifying great change for the world. Since each day it really does feel to me more like we’re entering a window of amazing change in the world, I’m dedicating this week to creating a cheat sheet to understanding some of the concepts that are floating around regarding “the shift of the ages”. I make no claims of being accurate. As always I say discernment is king and we should only take what we feel to be our own truth, while being ready for our truths to change where they need to. I’m simply going to lay out what’s being said and let you make up your own mind, breaking this up over several days so please subscribe to get the whole cliff notes to surviving the consciousness shift of the ages. Okay so maybe you think your world’s in disarray. The Middle East has just doled out more change to it’s citizens in six months than in the last six hundred years as dictators fall like dollar bills from the G string of a D.C. stripper. People are taking to the streets to demand more dollars and some sense from China to London to Paris to Sydney to New York. Foreclosures, volcanoes, earthquakes, tsunamis and cracked nuclear reactors, oh my! Do you feel the world shifting under your feet? Anything you can’t put your finger on but can’t explain away? Synchronicity more than just a tune in your head? Are you picking up some change in vibes, moving you from a place of darkness to expansion just maybe? 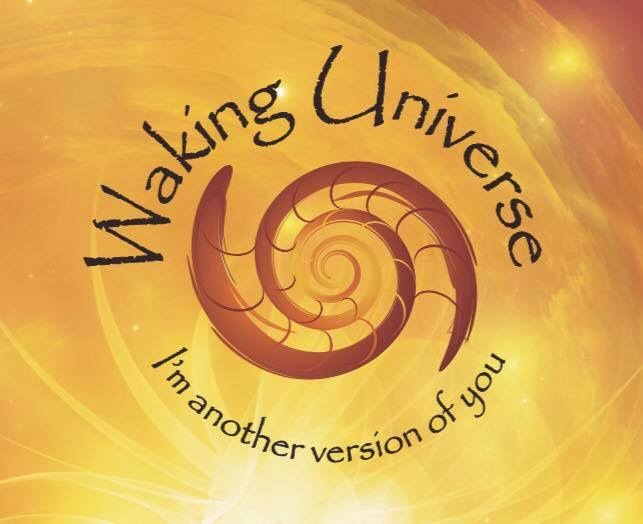 If you’re still snoozing, don’t bother to set the alarm again as the waking universe has your wake up call en route. Simply know, whatever the crisis of the hour, don’t panic. Take a breath, turn off the t.v., take your shoes off and go barefoot in the park with plenty of grass between the toes long enough to remember that you’re in charge here. It’s your world to shift, we just live in it. Y’know that whole 60′s thing? Peace, love, “you say you want a revolution”, “The Age of Aquarius” etc.? What all that was about was a changing of the guard, out with the old and in with the new, womens’ lib, free at last, all that sort of thing. Started with a bang and then felt like it just slipped away in the 80′s. The shifts of ages do not occur on a specific date or with the regularity of a train ride. Like sine waves, events and the consciousness they arise from ebb and flow, raising in overall intensity and stakes as the collective vibrations creating those ripples also rise. Change can be messy and random and intensely personal in nature and in the grand scheme of things, no matter where you’re at, you’re doing far better than Nostrodamus, the Book of Revelation, and every dime store psychic ever said we would. What is obvious is that we’re blazing an entirely new and unexpected path. If nothing else, we should be curious where this is going, right? Okay real quickly, let’s just say that anybody that says they KNOW what’s going to happen in the future, doesn’t. 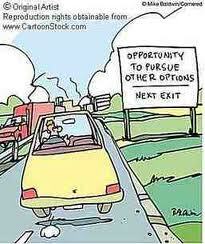 All that’s out there are potentials, at least from our perspective. That’s what free will is there for. The only one that can seal your fate is you by believing it sealed. Every day, with every positive step forward, we’re changing our futures for the best. The Age of Aquarius may have signalled it’s arrival with an ABBA LP, but the station it pulls into is one totally of your own creation. The opportunity that is presenting itself to the planet, and specifically to you and me in ways nobody can understand only comes once and according to some folks who lived long ago, is what you’ve waited lifetimes for. According to the ancient Mayans, we’re right this moment at the end of a cycle that goes around every 26,000 years, which means it’s not the end of the world, it’s just graduation day, the chance to move on to the next octave and the new challenges that await. They aren’t the only ones talking about it by any means, but they’re the easiest to give you a primer on. 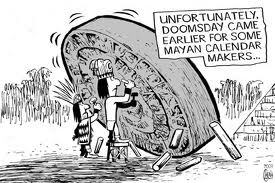 So let’s start today with what the Mayans had to say about it. 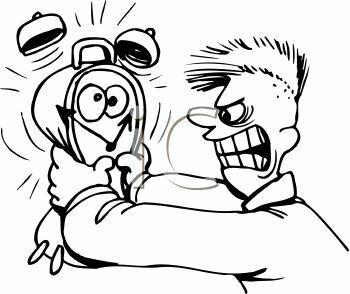 Have you noticed there seems like there’s not enough time in the day these days? The Mayans and others believed that in 2011 – 12 time would be speeding up, our collective and personal vibrations would be rising and forcing us to work out all our collective and personal “issues”. Time, events, dramas, issues, karma, all of it would be spiralling to a head. From 2012 on they and others have said that time becomes a mobius loop, more inherently personal than collective as it had been, more able to be shaped by the power of conscious thought than ever before, which is a side effect of the raising octave of the new age upon us. There are lots of explanations for this, both mystical and scientific. We’ll get into it later. It has to do with changes to magnetic fields in the solar system, unexplained new energies from the galactic alignment, the power of thought, etc. Again, I can’t say enough, it’s not about a given day, or a specific outcome. According to those in the now, or rather the know, this is where you take charge and nobody, not even the angels or the dime store psychics knows how the game ends, but you. Afterall, how could they, or anyone, know the mind of God? Can you handle that? The Mayans believed you could, or at least would, by December 21st, 2012. That doesn’t mean you can start hurling thunderbolts. If you thought being God was a shocker, imagine what you’d think when you realized that EVERYBODY ELSE was God too. That’s what they believed back when. It’s also the jist of what science is learning through the holographic model of the Universe, something being born out in Quantum mechanics that teaches us each part of the universe, even the tiniest at a quantum level, contains an exact duplicate of the whole. I should mention that December 21st 2012 has been considered by a few in the know in high places as merely the half way mark in a 36 year long progression of a great shift, the point where we’re closer to galactic day than galactic night. Yet, because the pull of the galactic center would become more positive than negative at that time, it could also mean that previous rules about time, space and reality could go out the window with the right intentions placed correctly. It’s basically a tipping point that bends our reality more into the divine world than the mundane one. As any preacher will gladly proclaim to the rooftops, in the divine world, anything is possible. Truth be known, every great spiritual leader has told us that we are inherently divine. If that’s the case, then inherently we have all the potential that statement conveys within ourselves. 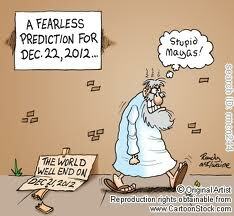 And the Mayans weren’t the only ones to predict a shifting of the ages many believe is happening now. Their multidimensional beliefs and timeline for this shift were also shared by the ancient Egyptians, Sumerians, Greeks, Hopi, Cherokee and others. Maybe that means we should pay attention, especially since this shift, according to some ancient as well as some modern interpreters, ramps into extreme high gear from October 28th, 2011 to December 21st, 2012. Like… um… now. They all saw it as the end only of the old world, filled with fear, strife and anger, of old energy and ways of thinking and the dawn of a completely new reality, one that is intensely personal in nature and full of unlimited potential, limited only by the power of our own thought. There’s some people we’ll meet in coming blogs that believe the Earth is coming to loggerheads between negative and positive energy, to the point it is literally splintering realities now, into an old energy and a new one and that one will never be aware of the other. The concept of such a transition is also known to the Tibetan Buddhists, who believe that Bodhisattvas, (enlightened teachers on Earth who have taken a vow to put off their own ascension to help others achieve theirs) have worked for centuries to enlighten the planet to the point where they and each of us may create our own personal Buddhaverse, a personal, perfect universe of our own c0-creation based on love and personal reality. It’s the place where your own personal reality becomes more real than the collective fear based reality that others would like to impose on you. It’s the difference between being a victim and taking full responsibility for your own world. To understand this concept, you have to get behind the idea that the world you see is not all that exists. Everything vibrates at different frequencies, and depending on that vibration, you may or may not encounter it, be able to interact with it or even see it. The Tibetans, again for instance, believe there are 6 realms of being going on all at once right in front of us. 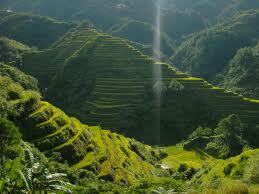 The Realm of the Gods, where people lead charmed life, as if walking on clouds. The animal realm where the sensual takes command, the hungry ghosts, home of the greedy and paranoid lost to their own fears, even the hell realm, home to the tortured victims, where guilt overpowers all reason. All happening on different vibrations all at once. Multidimensional, each unaware of the world next door. What happens if celestial bodies affect not only our personal vibration but the vibration of the planet in general. What if the alignment with the center of the galaxy puts us in alignment with a certain type of energy that causes a raising of vibration that makes it easier than ever to attain the enlightenment so many have sought. All these different cultures previously mentioned believed the current period in time puts our planet in an area of space where it becomes easier is the lifting of the veil of illusion that separates us from higher dimensions. It means a personal and collective ascension of the planet, where the personal and collective weight of conscious thought began to crack through the consensus fear based reality, an intensely personal opportunity for going from collective darkness to enlightenment. To accept all this there are some general concepts that need to be understood. They’ll be the topic of the next few blogs I turn in. The topics and links I’ll provide basically amount to a cliff notes of how to make it through a dimensional shift of the ages. It all starts with personal responsibility and doing the gut check to find out where your baggage is at. If prayer is the act of talking to God, meditation is the act of listening. Check in with yourself, meditate, find the ground to stand up on. 1. What’s your frequency, Kenneth? Now that you’ve done that gut check, how do you use REM to figure out the channel on the dial or even better how to change the tune? 3. The Police, or Synchronicity and Don’t Stand So Close To Me. Notice any glitches in the Matrix lately? Let’s talk about the signposts of the Matrix and how to outrun the thought police and why you’re finally going your own way. 2. Use the Force, Luke. Do or do not. There is no try. Everywhere the Force is, it surrounds us, eh? Have you read The Field, by Lynn MacTaggart? You should. 3. A Verse, Adverse, Meet the Multiverse. Now that you’re a Jedi that understands how to manifest reality, are you sure you’re watching the sequel you really want to see? 4. We Are All One. To be continued…. but just in case the shift takes you to the 23rd level of the whoziwatsits before we meet again, let’s end on the fact that you can’t create a better world within or without if you’re living in fear. Love really is a many splendored thing, and if consciousness is what makes the world go round, and it takes emotion to put the force into thought, there is no substitute for a world either personal or collective created by the most powerful emotion on the planet… love. Who do you love? Master that one answer with certainty, and the rest absolutely, positively will follow. But if you have love, there’s nothing left to shift, you’ve already won the game. I love this blog! I love your way of explaining things! I love your humour! Thanks Red. It’s really nice to know that you like it. I checked out your blog and I really, really enjoy that as well and will be following it. Keep up the good work!